The tour visit Phang Nga Bay, to see the green scenic on the bay, the beautiful mangrove safari, the limes stone cave and wildlife at the late evening. At the dinner , we serve the fined classic dinner set on the Gondola Boat as it slowly cruise passing the beautiful surrounding nature of Phang Nga Bay in the same time of sunset moment. We prepare the "Krathong" which is the Thai Important Traditional Activities. To do this is for lucky. For sure you can do this easily and fun. And yes, get luck! The program includes visiting the most beautiful night view point of Southern at the moment - Sameth NangShee View Point. What do we recommend? Please read all the detail, see the highlight pictures as well as see all the program, and submit the booking pass our website. Samet Nang Shee View Point at Night. Samet Nang Shee View Point is become a very popular place at the moment. It become to be "Must place to see" The minibus will take you up into the high land and straight look into the bay. You see unforgettable view in front. Classic Cruise by Gondola Boat. Gondola Boat Cruising is the one of nice thing to do in Phang Nga Bay, Our rider paddle for you, slowly cruising pass the beautiful nature around in Phang Nga Bay. And you will get the best view of Sunset on the water. Our service people set up and serv a gtret lunch on the time. We set up the "Flowers Float" for you, The flowers float is handmade and friendly for the sea. The candle light is in the center and you "make wish" to the spirit of the river. It can take out the bad luck and put in the good luck for you, we trusted. You will be fun. 15:00 PM: The minibus of Jc.Tour Picks up from every hotel in Phuket. 16:30 PM: Arrival the Bay, the program start with "Gondola Boat Cruising" into the Phang Nga Bay. Beautiful Nature and Sunset. -	Dinner Serv at the Moment of Sunset. -	Afterward, Do the beautiful funny Flowers Float and do "Loy Krathong" amid the Sea, the candle light and the stars on the sky make feel fantastic. 19:00 PM: We take you up to the hill, once of your life, you have to see this, the real heaven picture is over the water - Sameth Nang Shee View Point at Night. 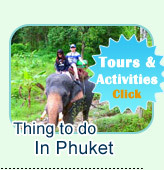 20:00 PM: The minibus of Jc.Tour Phuket picks you up from the point directly to the hotel in Phuket. 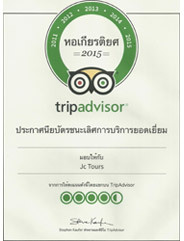 "Real great experience to remember." - 1,500 Baht/person for child(under 12 years old). 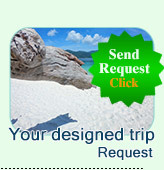 R/T transfer from your hotel in Phuket. Romance Dinner Set on the Gondola Boat. Soft Drinks and Fruits on the Seasonal. Paddle Guide and Service Guide.